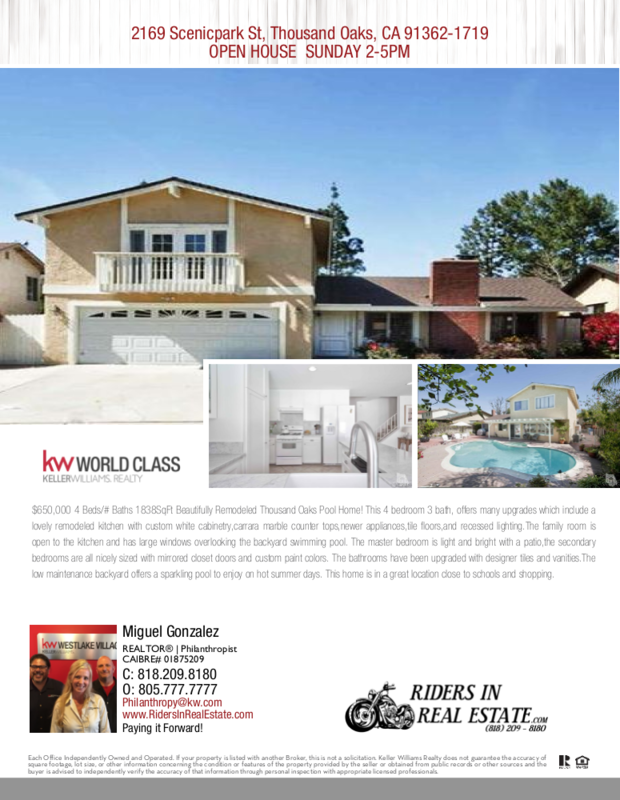 Beautifully Remodeled Thousand Oaks Pool Home! This 4 bedroom 3 bath, offers many upgrades which include a lovely remodeled kitchen with custom white cabinetry,carrara marble counter tops,newer appliances,tile floors,and recessed lighting.The family room is open to the kitchen and has large windows overlooking the backyard swimming pool. The master bedroom is light and bright with a patio,the secondary bedrooms are all nicely sized with mirrored closet doors and custom paint colors. The bathrooms have been upgraded with designer tiles and vanities.The low maintenance backyard offers a sparkling pool to enjoy on hot summer days. This home is in a great location close to schools and shopping.